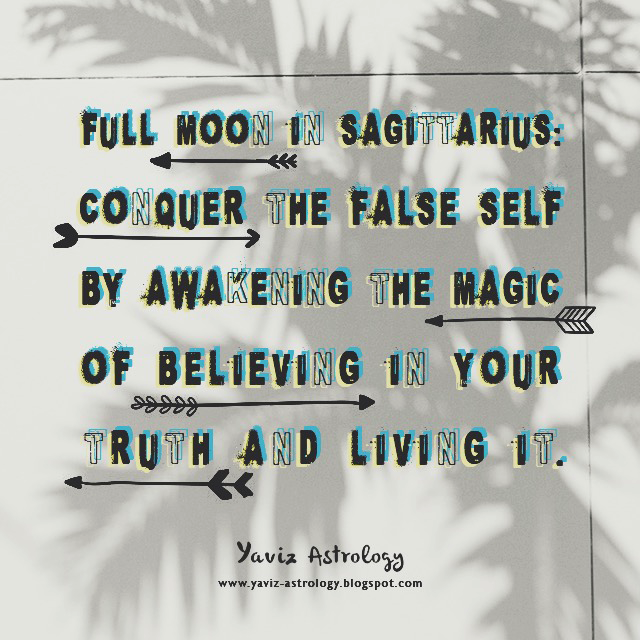 the magic of believing in your truth and living it. We may have different beliefs, values, opinions and truths, but at the end of the day, do we truly believe in our own truth? Do we really believe that our truth matters? Do we respect ourselves enough to stand up for our truth - not from a place of condemnation of other people's truth, but one of personal growth, learning and evolution? There is a difference between the two. Because when we believe in something while at the same time feel the need to force others to believe in the same thing, it comes from fear rather than the truth. A real, genuine truth that comes from the soul doesn't need to be justified in order to make others believe in it. It can motivate us to grow beyond our old limitations. It can inspire us to embrace the new because we know the old has served its purpose in our life. And from there we move forward understanding that we know better, understand better, and grow more fully into our most authentic self. The magic of believing in our truth and living it begins when we no longer need the approval of others. We understand that despite our past mistakes, we are an evolving soul where we grow and learn with each step that we take. Even if others don't believe in our truth, we don't need to dismiss or condemn them because real truth is not about trying to change or control others. It's about finding our own personal meaning from our experiences and from there, inspire others to also find their own meaning from their experiences. As we listen more closely to our true inner self, which lies deep within our false external self, we begin to see our truth more clearly. We can activate this underlying self by exploring the connection between our mind, body and spirit and what we can do to keep growing mentally, emotionally and spiritually. Happy Full Moon! The Moon is back in Sagittarius, forming an opposition to Mercury and the Sun in Gemini, marking the second Full Moon in the sign of the Centaur. Having another Full Moon in the same sign, brings a second glimpse into what we need to understand in order for us to grow beyond those things that no longer serves us. With a Full Moon happening in the sign of the bow-wielding Centaur, we are asked to stop dwelling about the past and look forward, without worrying about the unknown nature of the future. We can start from a place of curiosity - rather than from fear, by asking ourselves: "What can I do differently from this point forward in order for me to embody my most authentic self?" "How can I become stronger, wiser and more aware without needing to judge or control others?" "Is there a way for me to look at my old limitations without wallowing in negativity and unforgiveness so that I can move beyond them?" With Mercury home in the sign of Gemini, thinking can get more elaborate with thoughts and ideas running through our minds as we speak. The key is to stay in the present and be honest with ourselves about what we are really feeling. Whenever distractions are pulling us away from our true priorities, staying grounded in the present helps us see more fully what's right in front of us. Let's take a moment to calm our mind and body by taking a deep breath... Breathing... and exhaling more slowly is our way to deeper awareness. As we inhale and exhale, hold the intention of releasing old energy and bringing in new clarity and peace. With the Moon's conjunction to Saturn Rx and square to Neptune Rx and Jupiter, we are guided to decipher between what's fiction and what's true. It can be frightening to face the truth, but it doesn't have to be. Sometimes the truth is asking us what needs to be changed. Sometimes it's reminding us how healing and learning can occur if we are open to growth. Perhaps we need to examine where we feel trapped, and look at alternatives. It is ultimately about the courage to break free of imagined restraints and anything toxic in our life. Staying optimistic also no longer has to be about staying in a delusional state where we believe in something that we are not so sure of ourselves. But more about utilizing our unique gifts in a way that brings us hope to keep moving forward. Do no let the ego inspire us to imagine worse-case scenarios because it is indeed a waste of our powerful imagination. Imagine instead what can be beneficial to our soul growth as we make our way forward. The Moon is also forming a trine to Uranus, and a much-needed breakthrough is in the cards. But since we are still under the hard square aspect between Saturn Rx and Neptune Rx, this breakthrough may not necessarily come easy. We may encounter feelings of irritability within ourselves or others, and it may even affect our health. Be present and notice what is going on right now. This very moment has the potential for us to create miracles in our life. So rather than looking too far ahead and hoping the future will provide us with certainty, remember that we are here today for a reason. Neither the past nor the future can give us what we need at this time. "I am making my life easier with each joy that I plant into my heart, and each positive thought that I plant into my mind. I know that life may not always give me what I want, but it always gives me what I need in the right moment. And this is my sign to keep going forward with love, faith and zeal. The future is here and I am ready."